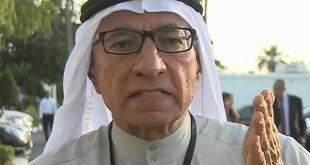 KUWAIT CITY, Aug 19: As Saudi Arabia and Kuwait are said to have reached an initial agreement over the potential resumption of production from Al-Khafji field, which is located in the neutral zone between the two countries, more detailed have emerged about the new agreement that will govern the deal, according to local media, report epmag.com A key detail of the new agreement is that production from Al- Khafji field will be less than 50% of the field’s initial production capacity, following a four-month maintenance period after the field was mothballed due to the spat between the two neighboring countries. The neutral zone produces more than 470,000 barrels of oil per day (bbl/d) through onshore and offshore fields. The offshore Al-Khafji field produces 250,000 bbl/d, while Al-Wafra field, which is an onshore field has a production capacity of about 220,000 bbl/d of Arabian heavy crude. According to the new agreement, the field will start production in early 2019 with a production capacity of 100,000 bbl/d instead of the 220,000 bbl/d. In addition, Saudi Aramco will have a smaller dedicated oil export area at Al-Zour port. According to the details of the agreement published by Kuwait daily newspaper Al Anba, Saudi Aramco will get a dedicated export area at Al-Zour refinery of 1,800 sq m from the total area of the port which exceeds 14,000 sq m.
The root of the issue dates back to 2014, when Saudi Arabia decided to shut down the Al Khafji fields citing unspecified environmental issues. Later, Al-Khafji Joint Operations (KJO), which operates the Al-Khafji field, said in a statement that the field will resume operation once the environmental issues are solved. 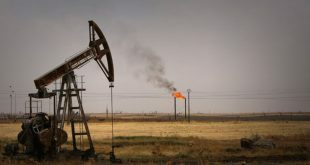 But Kuwait said that the two parties agreed in March 2014, that the new environmental regulations related to gas flaring should be introduced gradually within five years. Al-Khafji is considered a natural extension of Saudi Arabia’s Safaniya field, the world’s fifth largest offshore oil field. Saudi media has claimed that part of the reason behind the closure of Al-Khafji is to stop migration of oil from Safaniya reservoirs to Al-Khafji, which could explain why both parties agreed to restart production at more than 50% less than the initial production capacity of the field. Other local Saudi and Kuwaiti sources said that the dispute is rooted in the expiration of a contract between the two countries, where Saudi Arabia used to export part of its oil from Kuwait’s Al-Zour port but Kuwait said that it won’t allow it and plans to set up an oil refinery there Al-Zour. Kuwait Gulf Oil Company (KGOC) tried to convince Saudi Arabia and Chevron to use the neighboring Mina Abdullah port instead. Saudi Arabia and Kuwait also agreed to reassess the various assets at Al- Zour port, where they agreed to set a value of zero for the buildings that have been used for more than 30 years. The newspaper also said that Kuwait will issue a special decree to ratify the deal instead of waiting for the approval of the Kuwaiti Senate, which is supposed to hold its meeting in October. Meanwhile, the two countries are still in discussion over the other field in the neutral zone, Al-Wafra field. 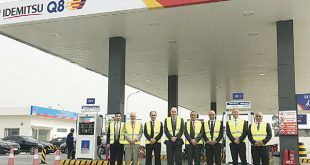 The field was mothballed In 2015 when Chevron Saudi Arabia, which operates Saudi Arabia’s stake in the neutral zone concession, expressed its intention to shut down operations at the Al-Wafra field in May 2015. The move was seen at the time as retaliation to Kuwait’s government closing Chevron Saudi Arabia’s file at the labor ministry, which is required by the company to issue work permits for its employees as well as to import equipment, through its head office at Mina Al-Zour in Kuwait. Local Kuwaiti sources have said that KGOC which operates Kuwait’s share of the neutral zone, was trying to solve the ongoing issues but were unable to arrive at a solution. Saudi Arabia renewed the Chevron concession to operate the Wafra field on behalf of the Kingdom in 2009 until 2039, a decision that upset the Kuwaitis because Riyadh had not consulted with Kuwait.